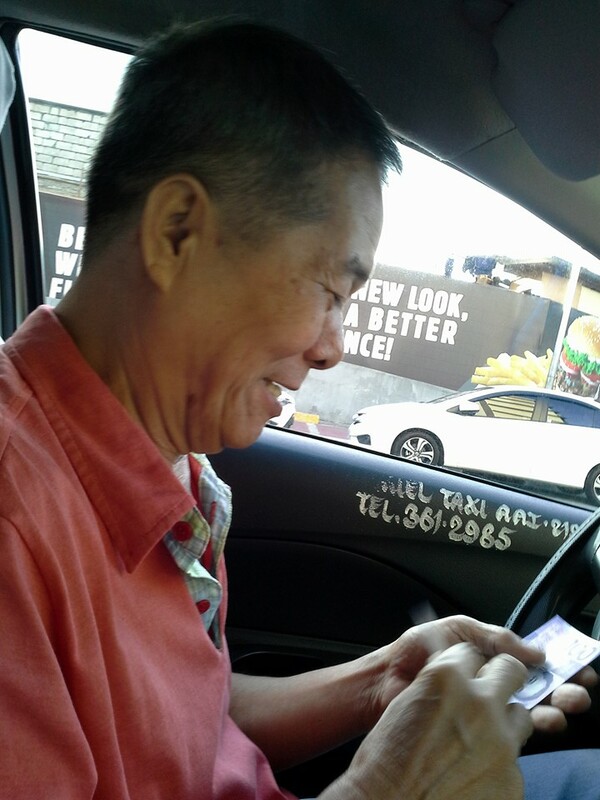 A post about about an honest taxi driver with the nicest disposition has been doing the rounds in the social media. In a Facebook post shared 8746 times as of Sunday morning, a netizen named Rommel Lopez recalled his encounter with a 63 years old taxi driver named Eugenio Ventura. “He said he is just doing his job as a taxi driver to be nice to his passengers because “kayo ang pinanggagalingan ng aming kabuhayan”. Sadly, some of our taxi drivers aren’t lucky to meet an employer who knows how to value its people who are proven to be the best ambassador of their brand or company. 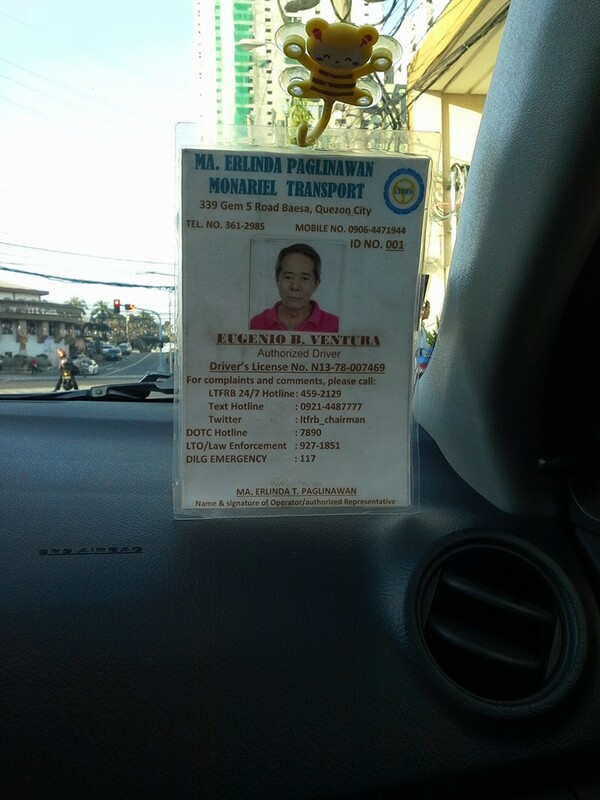 Such is the case of our taxi driver here, Mr. Eugenio Ventura. It was sad to know though that his operator deducted something that I wasn’t able to catch what. He ended bringing home for Christmas a meager P1,200 as his Christmas bonus. my receipt,” the post read. The netizen told Mr. Ventura to keep the change and consider it as a tip for the pleasant ride. Mr. Eugenio Ventura refused and said, “You deserve the change because it is the right thing to do,” the post reads. The netizen told the taxi driver, “On that note, I will give you P1.50 pesos tip. Please, don’t refuse!” The taxi driver according to the netizen was visibly amused of the banter and smiled at him. The netizen said he made one more request to the taxi driver before he alighted from the taxi cab and went on to his business. Manong, may isa pa akong request. Picturean ko kayo at share ko sa Facebook para malaman ng marami kung ano ang isang tunay na taxi driver na Pinoy. The netizen’s request drew laughter from Mr. Eugenio Ventura. “He laughed so hard. That’s the story behind this picture,” the post reads. The netizen ended his post by asking the people who happen to read his post to share his story so that others may know that there are still taxi drivers in the Philippines who takes pride in their line of work and maintain a professional standards comparable to the best of the world. I thanked him profusely when I alighted his taxi. He thanked me endlessly too. Please share this and tell the world that there is a Filipino taxi driver like Mang Eugenio. Veteran journalist schools South China Sea dispute expert Acting SC Justice Carpio for mistaking Paracels as PH territory?